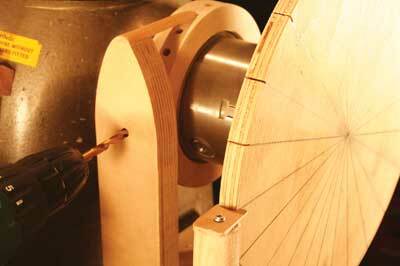 Indexing, which is a built in feature on some lathes, allows the spindle to be locked in predetermined positions. 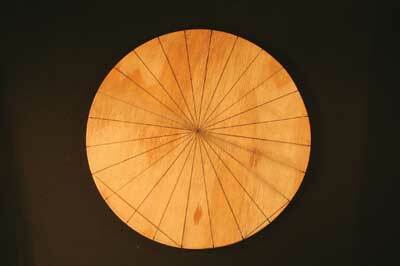 Indexing is useful, when holes are required for spokes, chair legs, a clock face, or for various decorative features. 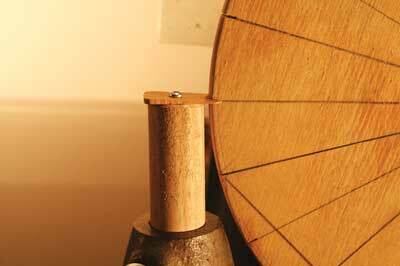 To achieve 2, 3, 4 ,6, 8 or 12 indexing divisions within one turn of the shaft is easy. All these numbers go into 24, so, with a 24 division index ring all the divisions mentioned are available. 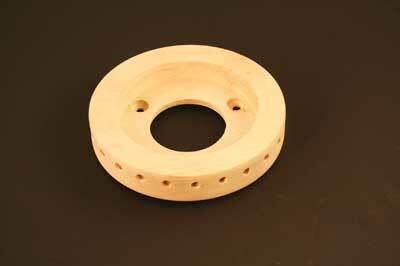 The device is called an index ring because the indexing holes are located on the circumference. 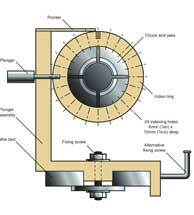 Metal turning and ornamental lathes have a wider variety of divisions, for example, 360, 192 and 144 are common. 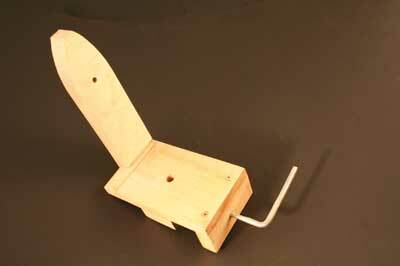 To accommodate this many combinations the face of the plate is used, and the device is called an index plate. 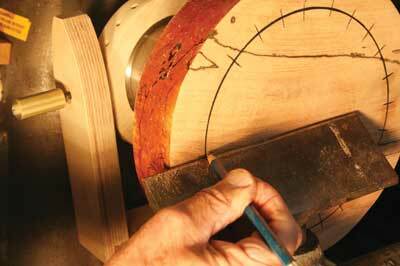 Indexing is a feature of most 'upmarket' woodturning lathes. 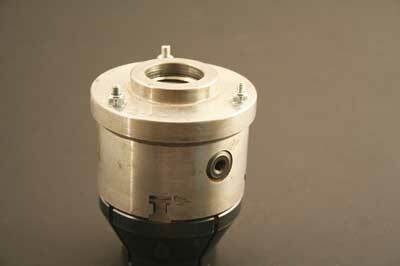 Quite often the indexing plunger also serves as a spindle lock. 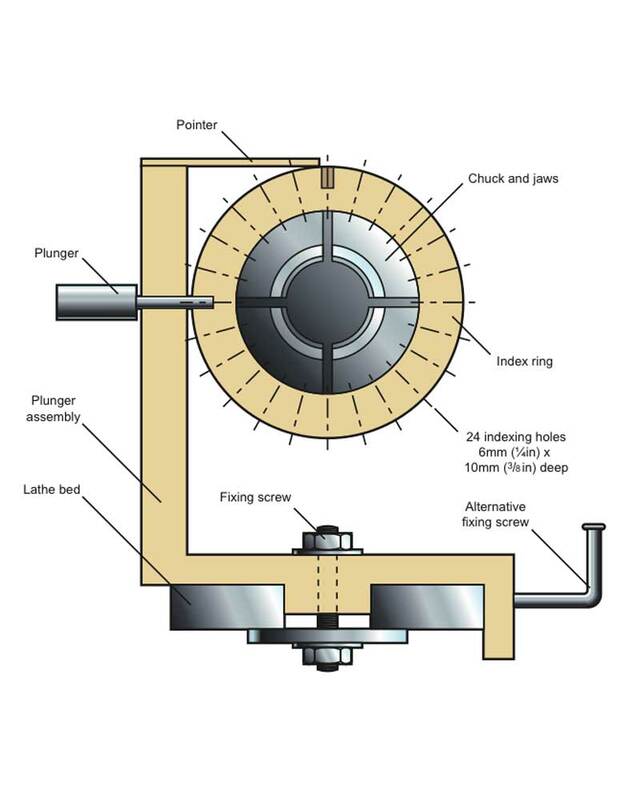 To prevent the lathe being switched on while the plunger is engaged, lathe manufacturers sometimes incorporate an interlocking system which disables the starting circuit. 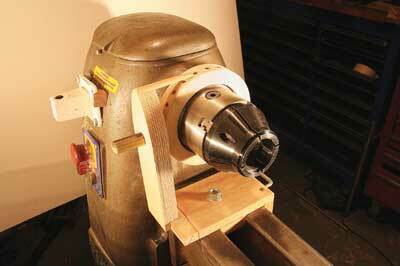 Lathes with no indexing usually rely on indexing on the backplate of the chuck. 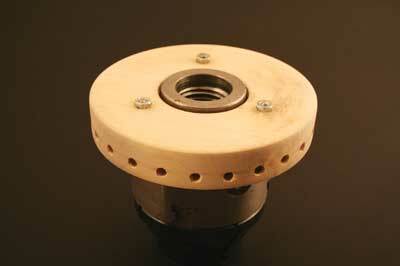 Back plates for most chucks are available with 24 indexing positions. 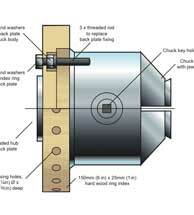 Some manufacturers make add-on index rings to fit over the chuck. 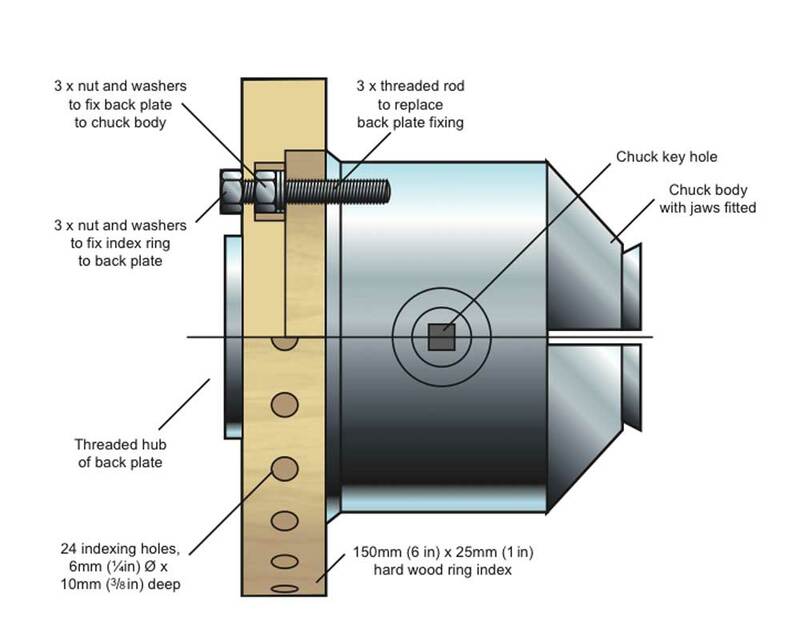 With either of the two solutions, all the turner has to do is to make some sort of plunger arrangement which will lock the lathe spindle in the position selected on the index ring.